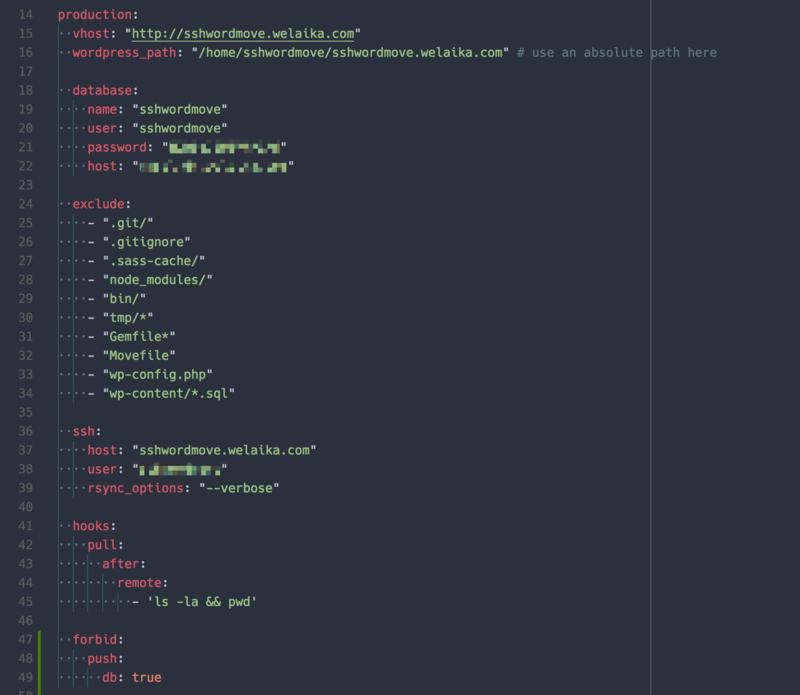 Wordmove is a gem that lets you automatically mirror local Wordpress installations and DB data back and forth from your local development machine to the remote server. Wordmove has also a neat hook system which enables you to run arbitrary commands before and after push/pull actions. 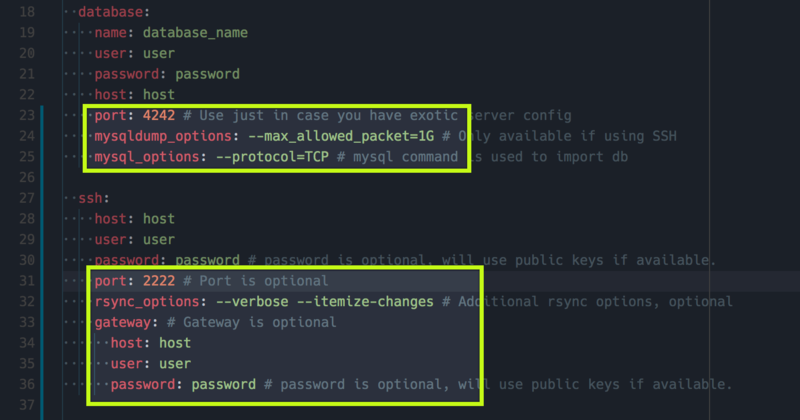 Local and remote commands are both supported, but remote ones will be run only if using SSH protocol. Read the dedicated wiki page for more info. 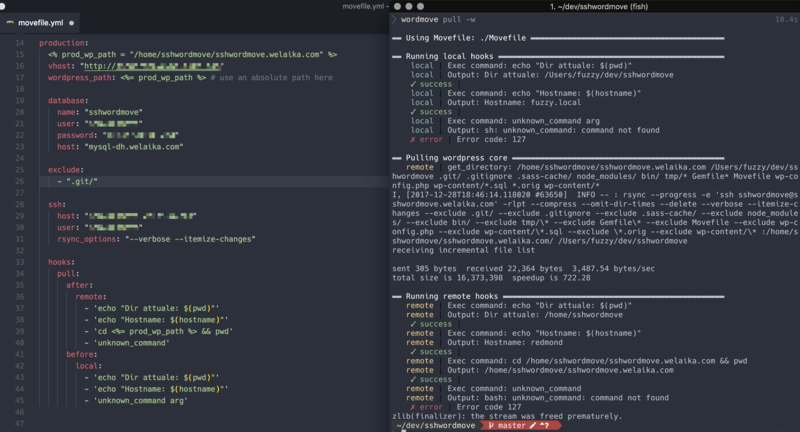 Wordmove is configurable through a simple YAML file. You can just setup a couple of base options, but if you need to solve more complicated situations and needs you have a lot of configurable options. Always up to date documentation is here to help. Need to build you project before push? Need to send notifications to Slack/Ryver after finishing a deploy to production? Need to activate debug plugins on test server after the deploy? Need to empty cache folder after each theme update? If you know what you are doing, you can release the kraken!